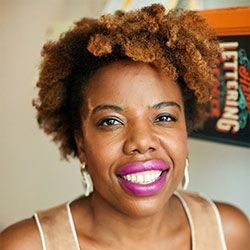 Maria Tope Akinyele is a literacy consultant currently working with A.L.L., who specializes in designing culturally relevant and constructivist approaches to literacy instruction within middle and high schools. Throughout the Northeast, she has helped many schools in urban districts successfully achieve desired instructional results and overall gains in student reading and writing outcomes. Maria also serves as a consultant working with school leaders on ways to design strategic professional learning experiences for teachers utilizing research-based adult learning principles. Maria has a Bachelor of Arts from Williams College, a Master in Social Studies Education from Lehman College and a Masters of Philosophy from the CUNY Graduate Center where she is presently completing her doctoral degree in Urban Education. Most recently, Maria attained a certificate from Georgetown University in Organizational Development.